MOSCOW, December 28. /TASS/. 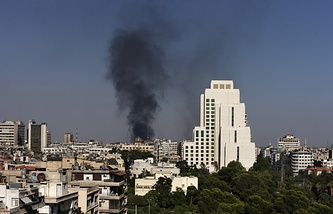 The Russian embassy in Damascus has been shelled twice over the day, Russia’s Foreign Ministry said on Wednesday. "At 13:00 and 13:19 [Moscow time] on December 28, the Russian embassy in Syria was shelled by terrorists. 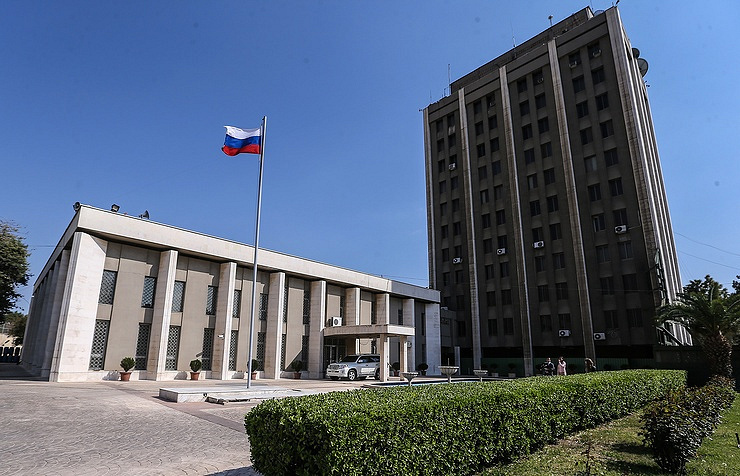 One mine, which, fortunately, did not explode, fell in the courtyard of the compound of the Russian diplomatic mission’s administrative buildings," the ministry said in a comment. "The second mine fell in the close vicinity to its territory. Combat engineers have been involved to defuse unexploded ordnance," the comment said. Moscow considers "this new provocation by extremists opposing the peaceful settlement in Syria as the confirmation of their intention to continue sowing terror and violence, support the atmosphere of fear among residents of the Syrian capital, delivering wicked blows from their hidden shelters under the cover of the ‘human shield," the ministry said. "We have to state that there remains a real threat to the embassy in Russia and its employees from the terrorist groups entrenched in Damascus suburbs," the Foreign Ministry said. "This reaffirms the urgent need for prompt elimination of all such hotbeds of terrorism." 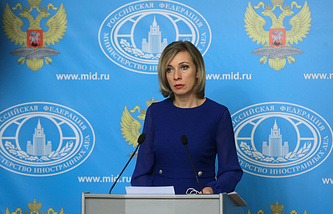 "Repeated shelling of the Russian diplomatic mission in Damascus should get a corresponding evaluation and be vehemently condemned by all those who de facto counteract challenges and threats of terrorism."